Sherlyn Tan, the founder of Malaysian fashion brand Twenty3, announced just this week that she would be shutting down her business to focus on improving her mental health. This announcement follows her long-standing battle with depression, of which she has been vocal about in the past, and also again highlights the real fight against mental health issues faced by many out there—entrepreneur or not. For many a business owner, the drive to succeed oftentimes brings with it a heap of expectations and a demand that more effort be placed upon making the venture a success. But all too often, this same drive can lead to a host of undesirable circumstances—poor work/life balance, copious amounts of stress, the neglect of personal time, and more seriously, depression. 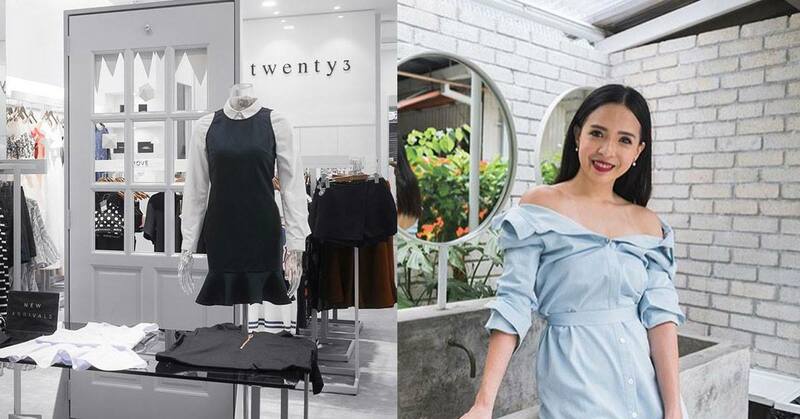 Just two days ago, Sherlyn Tan of popular Malaysian ladieswear boutique Twenty3 came out on Facebook, Instagram, and their website to announce the permanent closure of her business, citing her long battle with depression as the number one factor behind her decision. Since starting out in 2013, Sherlyn’s brand has grown in stature. From being a mere fashion reseller, Twenty3 eventually became a full-on fashion label complete with collections catering to various occasions, making it a local favourite with a loyal online following on Facebook and brick-and-mortar stores in Atria Shopping Gallery, Sunway Pyramid, and Publika. But despite the growth, Sherlyn has been very open with her ongoing struggles with depression and anxiety. In an interview earlier this year, Sherlyn openly shared about how her depression led to her shutting down her activewear division and how the negativity emanating from people around her only served to worsen the case. Similarly, her recent announcement again highlighted the severity of her struggles, only this time, it was a goodbye for real. She summed it up by saying that her mental health was top priority, and that she was on the long road to recovery. She then proceeded to explain that she would be devoting her time to working on her recovery, and then thanked her team for their accomplishments and their support throughout the years. Comments on the Facebook post announcing Twenty3’s closure. While it’s indeed a shame to see a local brand such as Twenty3 shut its doors, credit must be given to Sherlyn for having the courage to address a problem that is sometimes spoken about but rarely given much thought. Because for all our focus on things like profit, scalability, and innovation, it’s easy to become dismissive of the things in life that matter more than the business itself—not least of all mental health. If the gravity of the situation wasn’t already made apparent enough, this statistic might make you take notice: in 2015, a study by Dr. Michael Freeman suggested that at least a third of all the USA’s entrepreneurs suffer from some form of depression, with a hike in suicide cases over the years only lending credence to his findings. When we reached out to Sherlyn for her thoughts, she immediately aired her opinion that there was not enough conversation regarding the issue of depression and mental health. Adding on to that sentiment, she strongly advocated the idea of helping depression sufferers understand that depression is a problem that could befall anyone at anytime—no matter how happy they may look, or how successful they may appear. Hopefully with Twenty3’s example, more people within and without the entrepreneurial scene will be more mindful of such matters and come to realise that things like stress, depression, and mental health are all very real problems that need to be more openly discussed. Finally, it’s also worth mentioning that if you feel the same way Sherlyn does—entrepreneur or not—it’s always a good first step to talk your struggles through with someone willing to listen. “Talk to someone, if you’re in doubt, see a professional,” she said. If you’re wondering about taking that step to call Befrienders at +603-79568145, you can read about what the experience is like here. And for more on startup founders and their battles with depression, you can read this article for more of their thoughts.